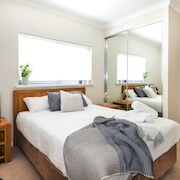 Excellent proximity to airport Spotlessly clean excellently equipped apartment. A relaxing stay ideal for a late night flight. Early flight? 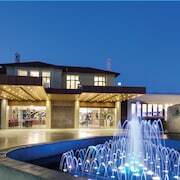 Beat the traffic with one of our Perth Airport hotels. 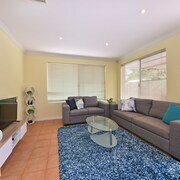 Located in the surrounding suburbs near the airport, our great range of Perth Airport hotels will take the hassle, cost and stress out of your next trip to the airport. 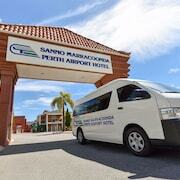 The Perth Airport is located approximately 30 mins east of the CBD and is the gateway for most visitors to Perth. While most of Perth’s attractions are located in the CBD and surrounding areas there’s still plenty to see and do east of the Swan River. 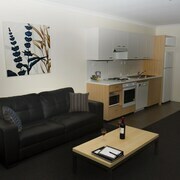 Located on the banks of the Swan River in Burswood is Crown Perth. Crown Perth is huge, like a mini city within a city. The jewel in the crown (couldn’t resist) the 24-hour casino. There’s also a great range of restaurants and bars, nightclub, theatre, and even an indoor stadium that plays host to many Aussie and international acts. The complex also includes an 18-hole public golf course and day spa. If you’d rather spend your time outdoors, head to the Perth Zoo. Located in South Perth, it is home to over 1200 animals from all corners of the globe including elephants, tigers, bears, orang-utans and giant Galapagos tortoises. Perth Zoo is open from 9AM to 5PM every day of the year. 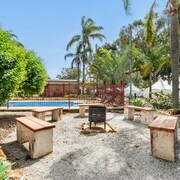 Located next to Burswood is the suburb of Victoria Park, a well-known foodie destination. Here you can find nearly every type of cuisine you can think of, including Nepalese, Thai, Chinese, Indian, Mexican, Italian, Vietnamese just to name a few. Walk off your meal in the riverside McCallum Park which offers great views of the Swan River and CBD. 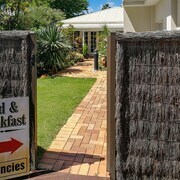 So whether you’re leaving early or arriving late, check out our great range of Perth Airport accommodation below.